The BAT.PAR 6 is equipped with 6 x 8 Watt 4in1 LEDs and available with RGBUV or RGBAW ( LIG0013735-000 ) LEDs. It is powered by two batteries or the built in IEC power mount. 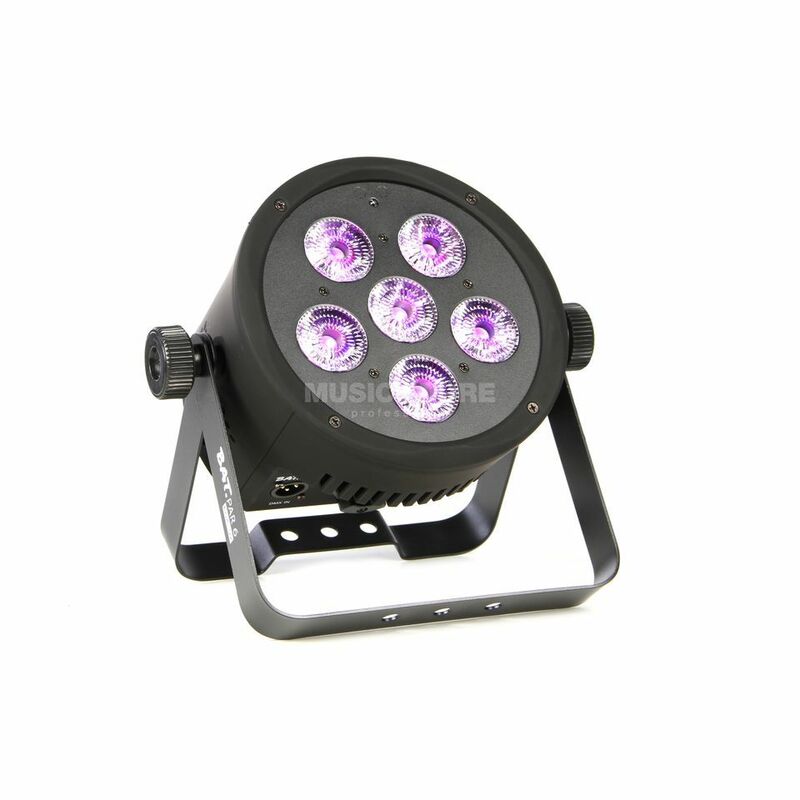 Besides IR remote and DMX512 control the fixture comes with a sound-to-light and an automatic mode.